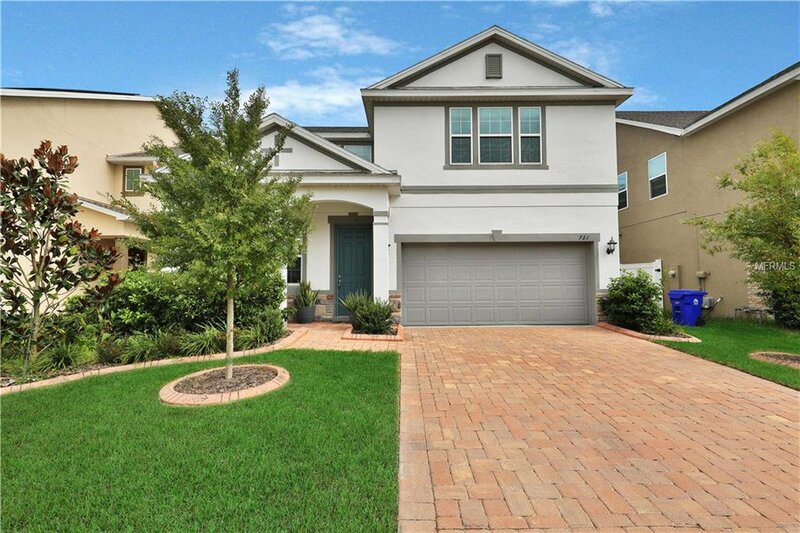 Gorgeous Winter Garden Pool home in the highly sought out neighborhood of John’s Lake Pointe. The Westerly model by Meritage homes has been masterly designed to showcase the high ceilings and open and bright floor plan. This home has been meticulously maintained and features many upgrades including energy efficiency. As soon as you walk through the front door, you will be taken aback by the overall charm that this home boasts. Chef’s kitchen showcases white cabinetry, stainless appliances, quartz counters and decorative backsplash. Downstairs Master Suite is spacious and has large closet. Upstairs flex/bonus room is ideal for play area, game area, exercise room or home theater. All bedrooms have large closets. Dine alfresco on your back porch overlooking your heated pool with spa features. Enjoy your own private oasis with your fully fenced backyard. Resort Style Community that features community pool, tennis courts and park!!! Listing courtesy of KELLER WILLIAMS AT THE PARKS. Selling Office: WEICHERT REALTORS HALLMARK PRO.